You’ve seen it everywhere from commercial design to residential interior trends – industrial looking furniture is hot. 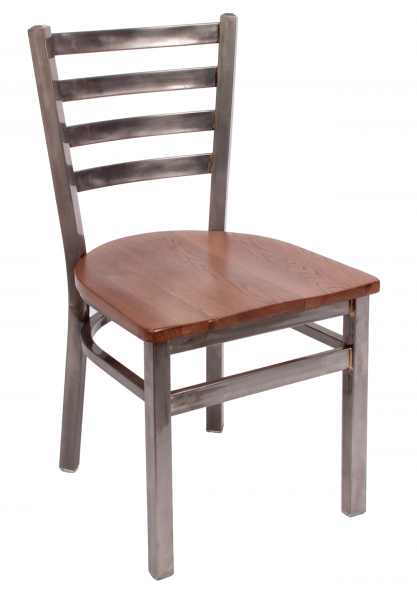 That’s why so many want the clear coat ladderback restaurant chair. The clear coat ladder back series is constructed from the finest cold-rolled steel, accented with eye-catching brass weld construction. The exposed raw material shows through a durable powder coat finish for a striking look in any industrial chic or modern interior space. 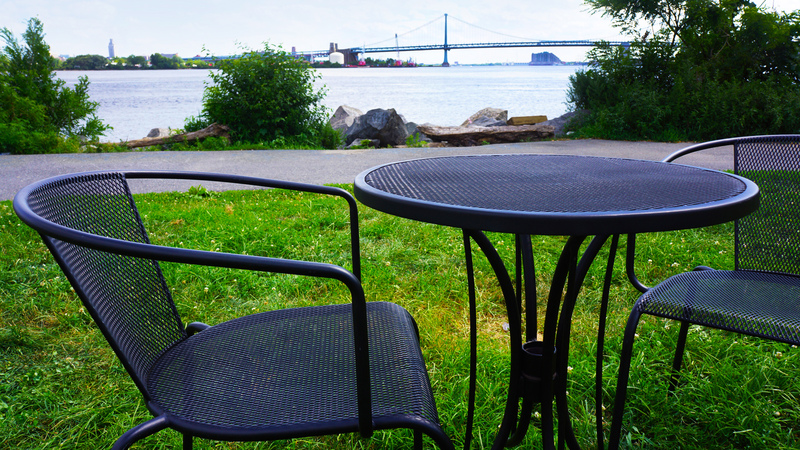 Read more: The Future of Outdoor Restaurant Seating is the Past! Around this time of year, many stores hold their January White Sale. This practice began with John Wanamaker, who needed a way to increase sales during a slow time of year. Outdoor Restaurant Seating is having our January What? Sale. "What is a 'What? Sale'?" you ask. It's our way of providing the answers to your "What?" questions about restaurant furniture, and at sale prices. The Outdoor Restaurant Seating site (www.outdoorrestaurantseating.com) has answers to questions like: "What is synthetic teak? "; "What material works best for my establishment? "; "What is the best way to clean my furniture? ", "What is the difference between a bar stool and a counter-height stool? "; and many other important questions. Click here to visit our Articles section to find the information you need to purchase the right furniture for your restaurant, cafe, bistro, club, etc. Knowing that your commercial account may seem a bit slim at the end of the year, you are asking, "What will it cost to furnish my dining area to match the high standards I have for my food and service?" Our sale features select indoor and outdoor table tops, bases, and chairs at rock-bottom prices. Click here to take a look at what we have to offer. You just may find something that grabs you and fits right in with your style. With savings up to 50% and more on BFM Seating chairs and table tops and bases, now is the time to order your restaurant furniture for holiday upgrades or stock up for the next outdoor season! Read more: Outdoor Restaurant Seating Holds the January What Sale! Since 2011, Outdoor Restaurant Seating has been providing the dining industry with the finest in indoor and outdoor seating, tables, and accessories. We have live customer service and low prices; that is why the top manufacturers trust us! When it comes to purchasing commercial furniture for your dining or meeting area, you have a world of options, including manufacturers, styles, materials, prices, and, of course, vendors and sales pitches. Outdoor Restaurant Seating promises you, our customer and lifeline, the lowest prices and most personal, ethical service available. We want to do it right so we don't have to make it right. In other words, we want you to have the best furnishings to satisfy your customers and the best service to satisfy your expectations! On that note, we have gone one step farther for the New Year: we will shortly be introducing our new, improved web site. Look for it in January. As usual, we will keep you posted on new items and sales, and continue to provide helpful articles as well. 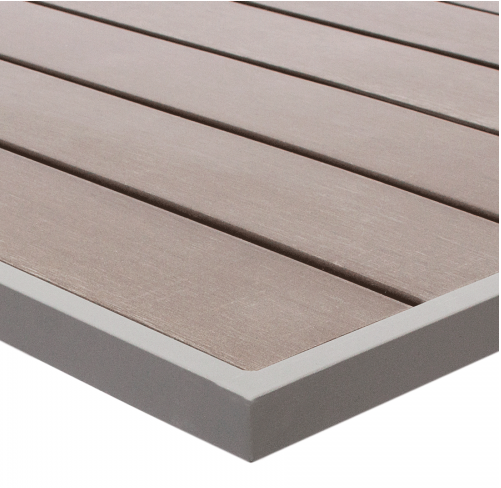 The Outdoor Restaurant Seating site (http://www.outdoorrestaurantseating.com) has answers to questions like: "What is synthetic teak? "; "What material works best for my establishment? "; "What is the best way to clean my furniture? 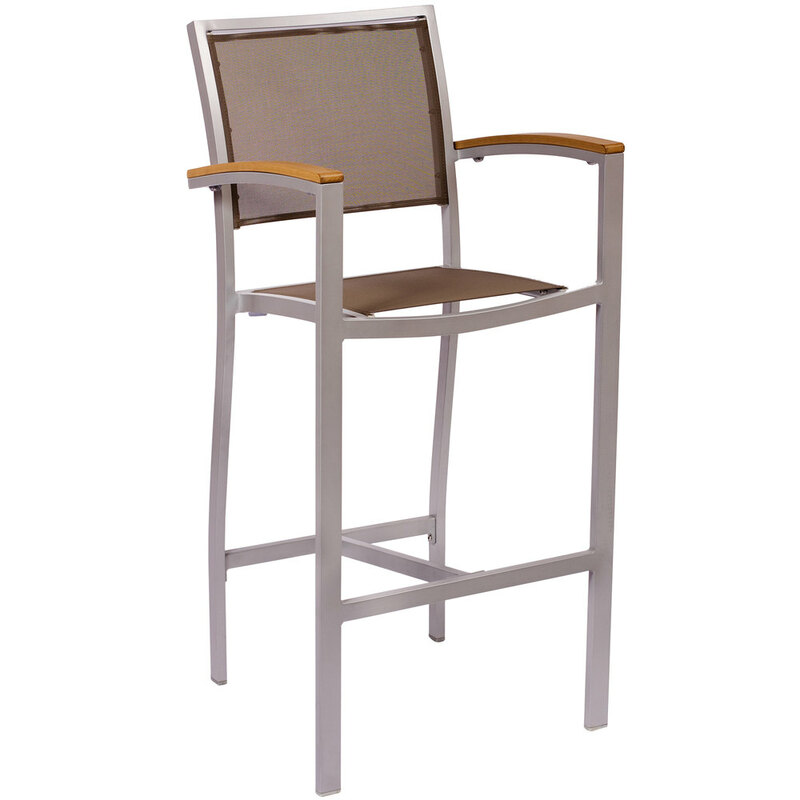 "; "What is the difference between a bar stool and a counter-height stool? ", and many other important issues. Click here to visit our Articles section to find the information you need to purchase the right furniture for your restaurant, cafe, bistro, club, etc. Your number one question is most likely, "What will it cost to furnish my dining area to match the high standards I have for my food and service?" Our Closeout Sale features an ever-changing selection of indoor and outdoor table tops, bases, and chairs at rock-bottom prices. Click here to take a look at what we have to offer. You just may find something that grabs you and fits right in with your style. With savings up to 50% and more on BFM Seating chairs and table tops and bases, now is the time to order your restaurant furniture for winter upgrades or to stock up for the next outdoor season! Make a resolution to call 610-994-1686 to speak with our representatives to discuss your project and help you identify the colors, stock, lead time, and budget to best fit your needs, or click Outdoor Restaurant Seating to shop at our site and read relevant articles. Outdoor Restaurant Seating offers the best value in indoor and outdoor commercial furniture including chairs, tables, barstools, sectionals, and accessories for restaurants, cafes, social clubs, and other organizations that offer dining experiences. Restaurant owners and managers depend on us to maximize space usage and outdoor conditions, and deliver high quality furniture to ensure comfortable accommodations for patrons and - most importantly - the best return on investment. Read more: New Year, New Look, Same Great Outdoor Restaurant Furniture! When the weather is nice, there is nothing like the great outdoors! Even when the weather is cold and snowy, many sports enthusiasts, adventurers, and shoppers like to brave the elements and have a good time. When these folks work up a good appetite, where do they want to go? To your restaurant to warm up and enjoy a good meal! Cold weather often forces people indoors. Whether patrons come into your restaurant because your outdoor facilities are dormant for the season or shoppers pop in on the spur of the moment to escape Old Man Winter, you want them to be comfortable, at ease, and well cared for. A great dining experience consists of a combination of food and atmosphere, and a significant part of atmosphere is the aesthetics and comfort of your furniture. As social media proliferates, pictures of your dining area (and furniture!) can wind up being shared by friends and posted for the world to see. Also, restaurant reviewers generally point out the decor of the place they are reviewing. Because you want the best reviews, you want the best restaurant furniture. You want patrons to enjoy The Great Indoors! Read more: Outdoor Restaurant Seating Presents The Great Indoors!